Turquoise Satin Evening Dress | Sung Boutique L.A. This beautiful light weight silky satin floor-length evening dress features curve-skimming bias cut, styled with a deep V-neckline, a shirred bust and empire waist. 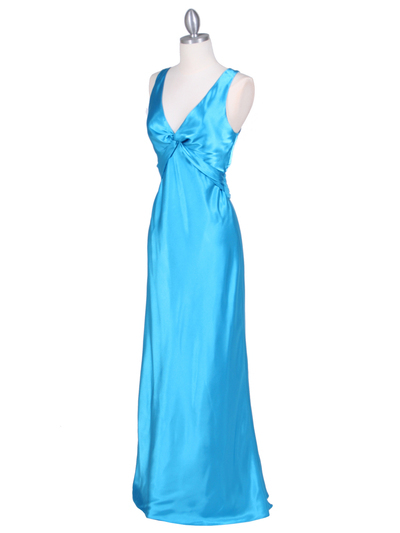 Low back with satin and chiffon crisscross back straps. Chiffon lining; slip-on; no zipper.